What is the easiest way to monitor my Investment? This is the common question which popups in every investor’s mind. So, here are few best portfolio management and tracking tools for stock market investors. These are free tools that are mainly designed for the stock market but it can also help you in tracking mutual funds, fixed deposit, gold, real estate investments. You can keep eye on your investment closely and take buying or selling decision by using these tools. Some of them are also capable of sending real-time SMS and E-mail alerts. I have personally tried many application and tools for tracking stock market investments and found following 5 Best Portfolio Management and Tracking Tools. Money control is one of the most popular stock market websites in India. This website offers one of the best portfolio management and tracking tool. This tool also allows you to add and track other investments like mutual funds, fixed income instruments, property etc. The key features of this tool are given below. Tracking all investments at a single place along with a live price update facility. Quick capital gain summary and tax status. Transaction history of the stock, mutual funds, and ULIP. Watchlist facility along with price trigger. Portfolio health check facility and comparison with benchmark indices. E-mail and SMS alerts for volume deal, bulk deal, news etc. In order to use this tool, you have to register first at money control website. You can use your Gmail and Facebook login for registration. Once you are registered you can visit my portfolio section and add stocks and mutual fund purchase price and quantity. In the summary section, you will be able to see your Net Worth and overall gain detail. You can also use this facility on your mobile phone. 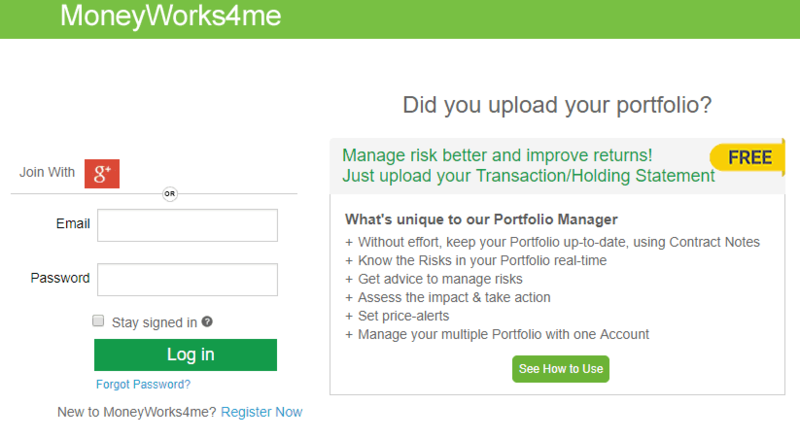 MoneyWorks4me is next in the list of a best portfolio management tracking tool. A portfolio builder tool available on this website allows you to add transaction manually or automatically based on transaction statement and contract notes. The key features offered by this tool is given below. Facility to add transaction via transaction statement and contract notes. Tracking of equity, debt, mutual fund and gold at single place. Facility to create a watchlist and evaluated list. Free SMS and E-mail alerts for important buy/sell price triggers. Know the Risks in your Portfolio real-time. Manage Multiple portfolios in a single account. To use portfolio builder tool available on MoneyWorks4me website you need to register first on the website. You can use Gmail account for registration. Once you are registered, click on the portfolio from the navigation menu. Now go to the transaction and add stock and mutual funds purchased by you. You will be able to see everything in the snapshot tab. ETPortfolio is a famous portfolio management tool. You can add, edit and monitor your investment in ETPortfolio on the move. The key features of this tool are given below. Real-Time price update of stocks. Schedule SIP transaction setup for mutual funds. Customized watch list and alerts for your portfolio. 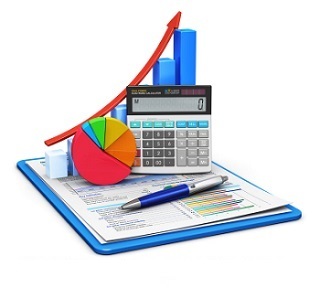 Real-time reports about a transaction, capital gain, and dividend. Real-time news and updates for your portfolio. To use ETPortfolio you need to register first at ETPortfolio site. It allows you to log in via Gmail and facebook id. You can add a transaction to your portfolio by clicking the add button. It will ask date, company name, price, and quantity. Apart from stocks, you can also add mutual funds, ETF, ULIP, fixed income as well as insurance component. Value Research also provide portfolio tracking and monitoring services. It is free web-based service called as a portfolio manager. It allows you to record stock, mutual fund, bond, PPF and FD transaction. The key features offered by Value Research are given below. Facility to upload excel sheet containing transaction of equity, mutual funds. Strength weakness and asset allocation analysis. Personal rate of return and portfolio net worth. Detail Analysis Tool Transactional portfolio. In order to use portfolio tracking tool of value research, you need to register first. You can use your Facebook or Gmail account for registration. Once your registration is complete go to My Portfolio link provided on a navigation bar. Add your investments manually one by one or upload Excel based transaction file. The facility provided by Value Research is free. If you want to manage a stock portfolio and you are not comfortable with online web-based tools, you can use MS Excel-based Equity portfolio manager tool available on Money Excel website. 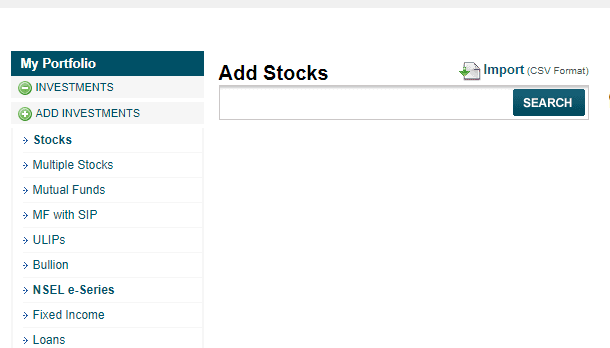 It is a simple tool which updates price detail of stock on click of a button. Initially, you need to enter the stock code and purchase price. You can download this tool from Free Download section. Portfolio management and tracking tools can help you to track your investment easily, anytime anywhere. These tools keep you updated by sending updates and news about stock and other investment held by you. It will help you to take an informed decision about stock and mutual fund investments.